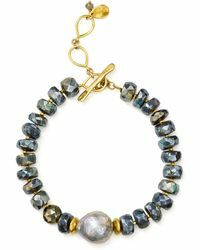 Founded in 1996 by its namesake designer, the Los Angeles-based label Chan Luu has become a mainstay of both the fashion world and Hollywood, developing a devoted following that counts fashion editors and A-list celebrities among its ranks. 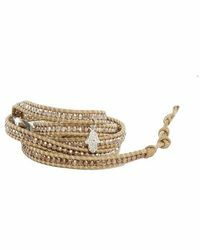 Revered for its luxurious yet wearable jewellery, accessories and ready-to-wear, the brand is known for its bohemian-inspired designs. 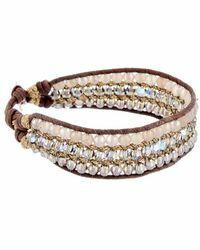 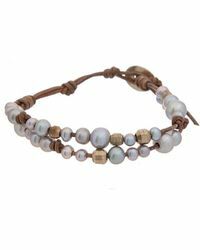 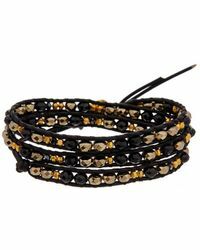 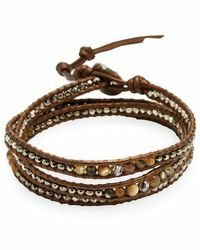 Wrap bracelets have become a hallmark of the label, or choose from the hand chains, beaded charm bracelets and leather cuffs. 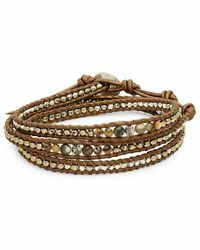 Keep it simple with one stand-alone piece, or stack up a selection of your favourites for a directional, statement look.